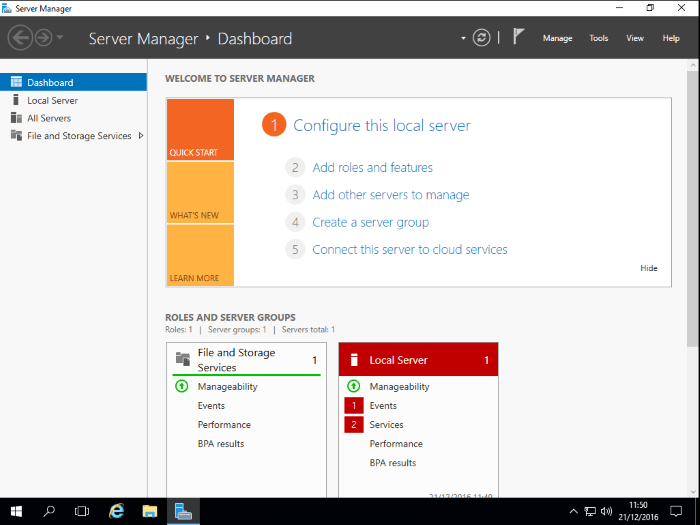 Recently we were asked about Windows Server 2016. Before we progress further with a live set up, we are trialling this in our test environment so that we can be prepared for any surprises and test the new features in the office. 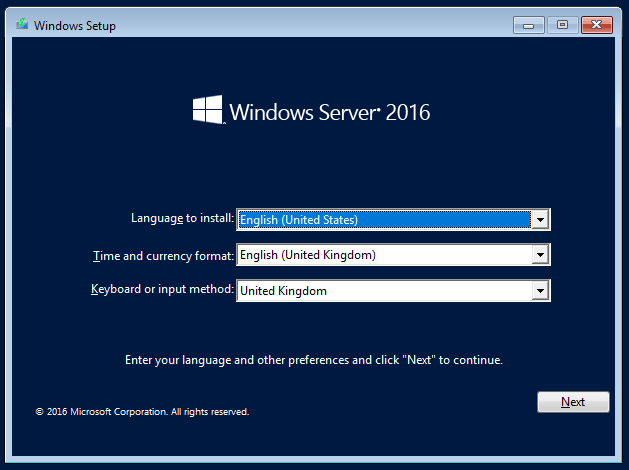 Windows Server 2016 was released 12th October 2016. 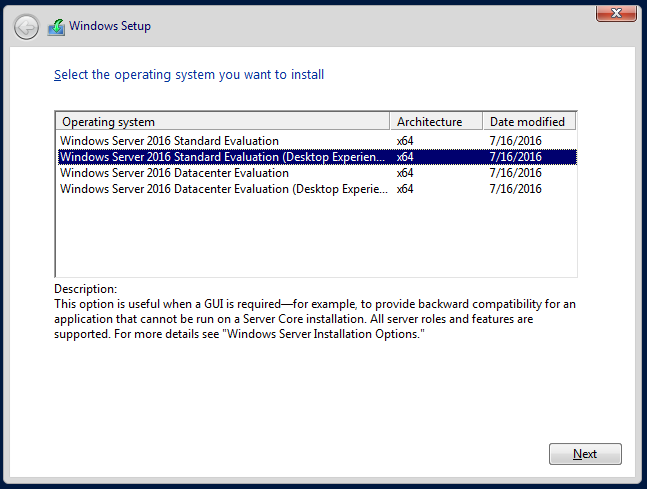 This evaluation copy has an expiration of 180 days (or as some say server 2016 activation timeout). There are various links online to obtain this software, but we recommend you acquire the software from the manufacturer directly. 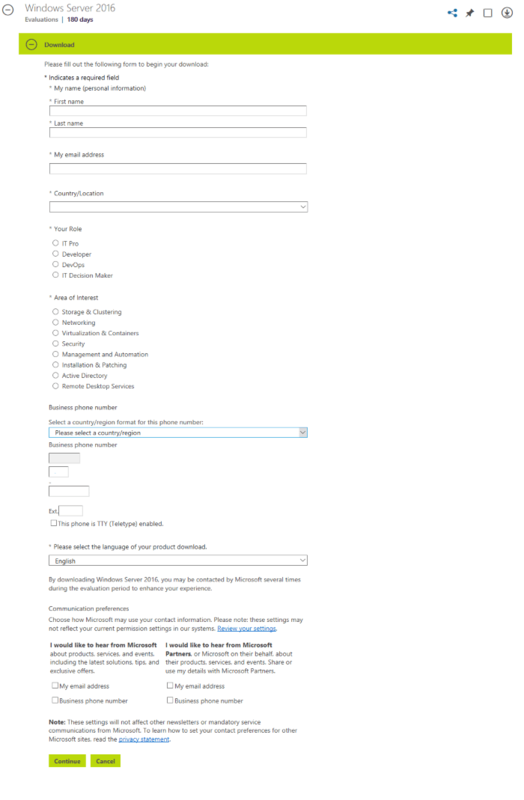 In this case, it is Microsoft and you can download this and other 2016 products from the Microsoft website. 1. Sign in with your live account (or create one if you do not have one). 2. Download option: We chose ISO as we will install this for various customers. 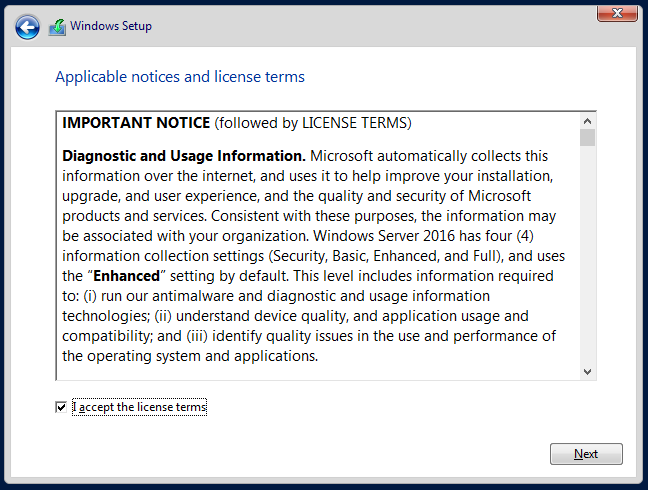 Please note you can download Windows Server 2016 or Window Server 2016 Essentials. 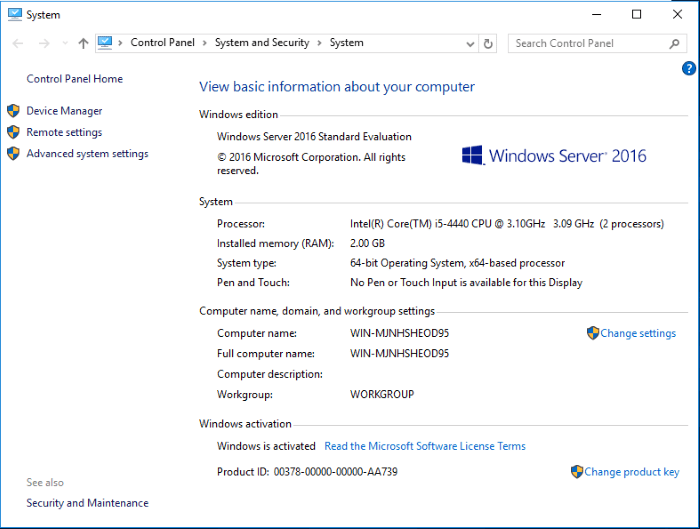 For our demo, we will be installing Windows Server 2016. 4. 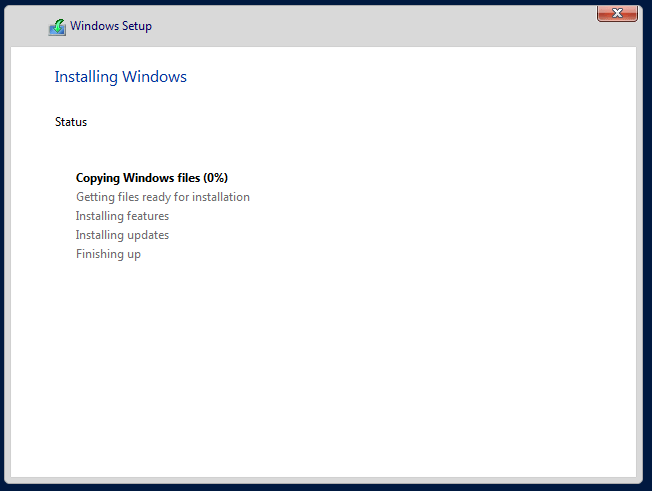 The download starts (file name will be similar to 14393.0.160715-1616.RS1_RELEASE_SERVER_EVAL_X64FRE_EN-US.ISO). The file size is 4.95GB (so you will need a dual layer DVD). 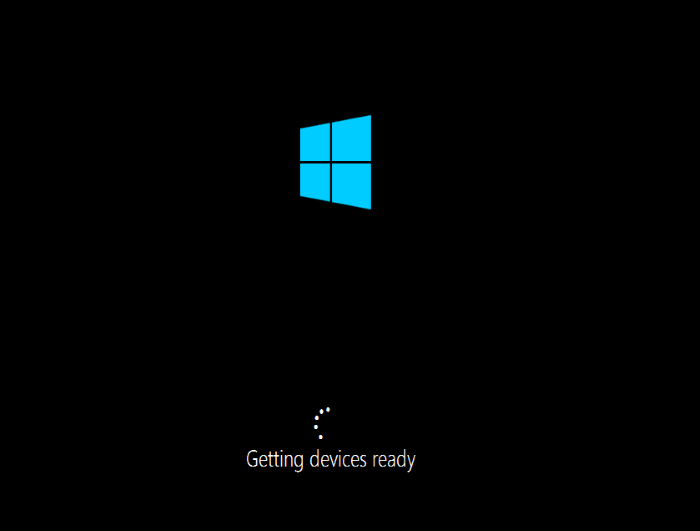 Once downloaded we can set up on a real server or virtual machine for testing purposes. -Evaluation versions of Windows Server must Activate over the internet in the first 10 days to avoid automatic shutdown. Once the download completes and this is on a DVD (or you may be installing this on a virtual machine), please read on. 5. Select the language (currently English US is the only option). 7. 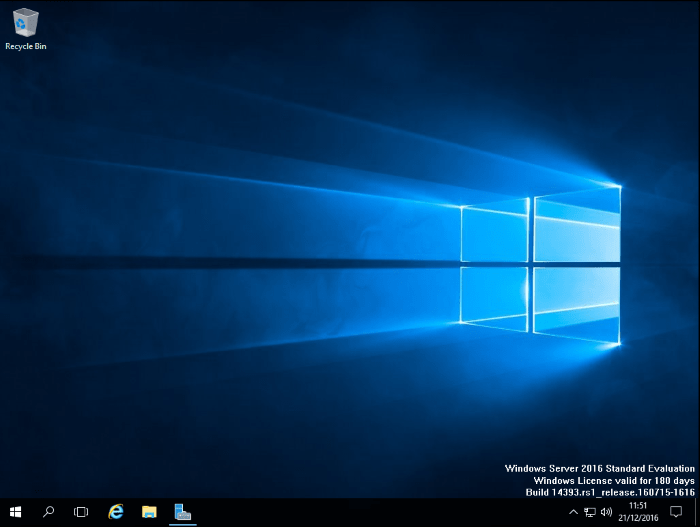 We have then selected Standard Evaluation (desktop experience) so we get a similar view to Windows 10. 8. Accept the license agreement (if you wish to proceed). 9. 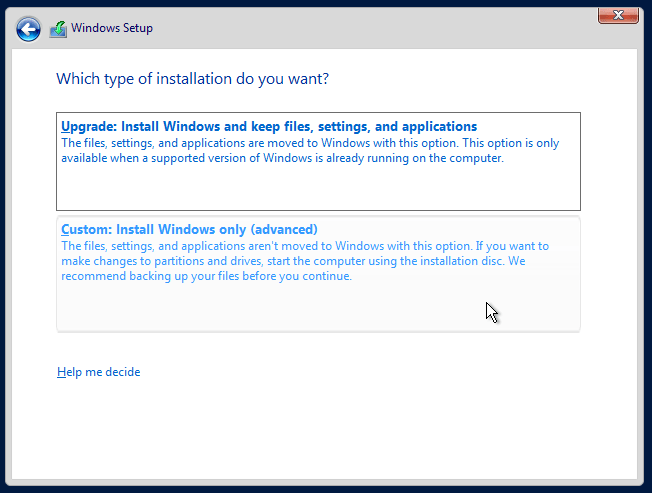 Select the install type. As this is a new installation we selected custom. 10. 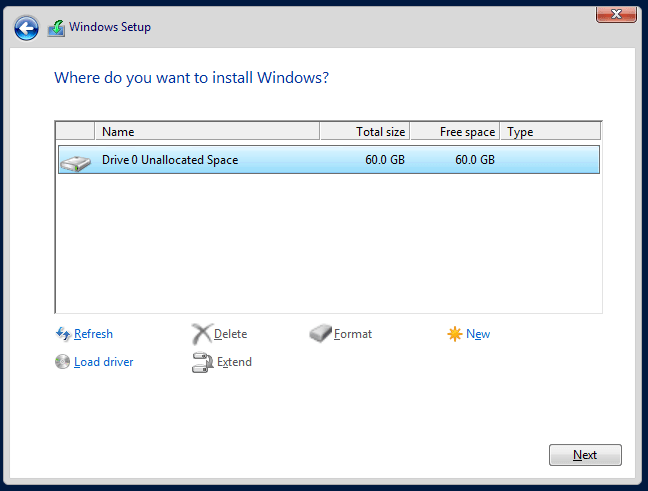 You will need to give a certain amount of space (we are giving 60GB). 11. Wait for the install to complete. The server may reboot a few times. Then we can proceed from here. After the reboot, here we tweak this to our company standard or customer standard. 12. Set the password. We recommend a mix of letters, numbers and special characters. 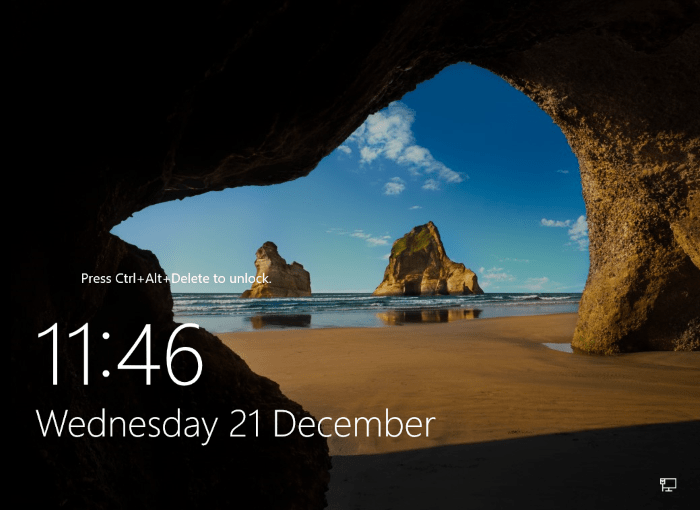 Unlike Windows 10 you are not asked for a password reminder. 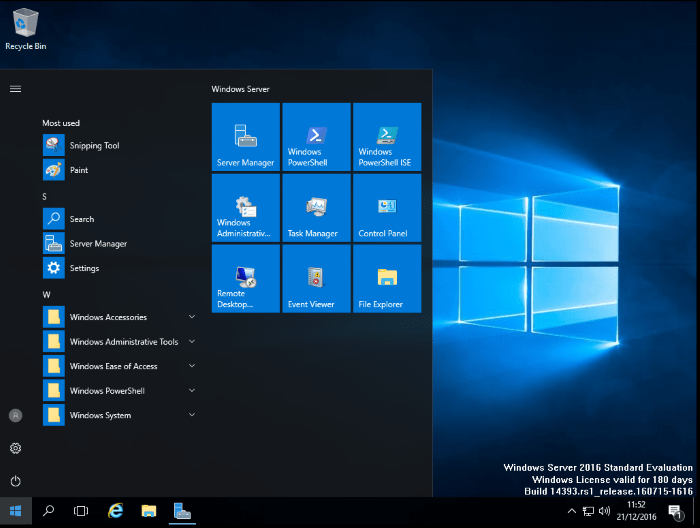 -The start menu (with the ability to search for an application and settings for Internet Explorer). 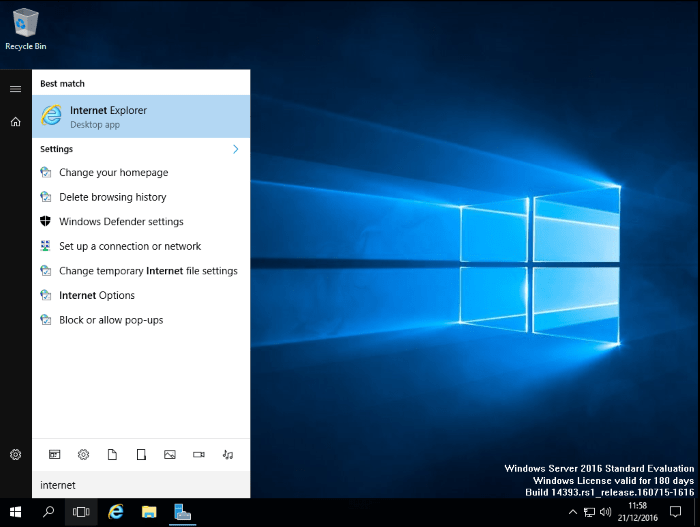 Note there is no Cortana in the taskbar and no Edge Browser. You can also search for applications and settings. -You can see this is activated now. 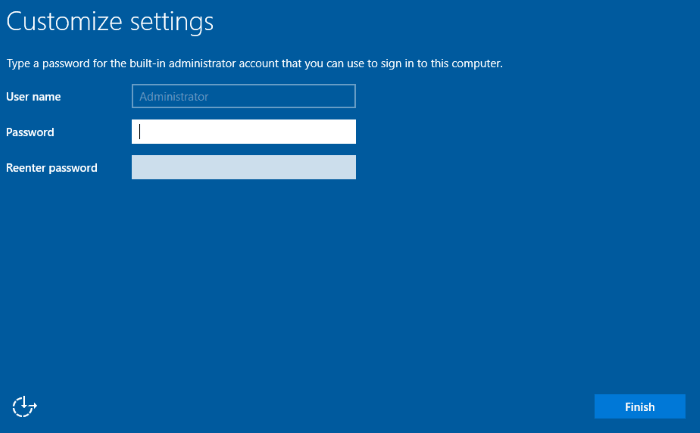 We can change the computer name, set up this up on a domain and change various settings. 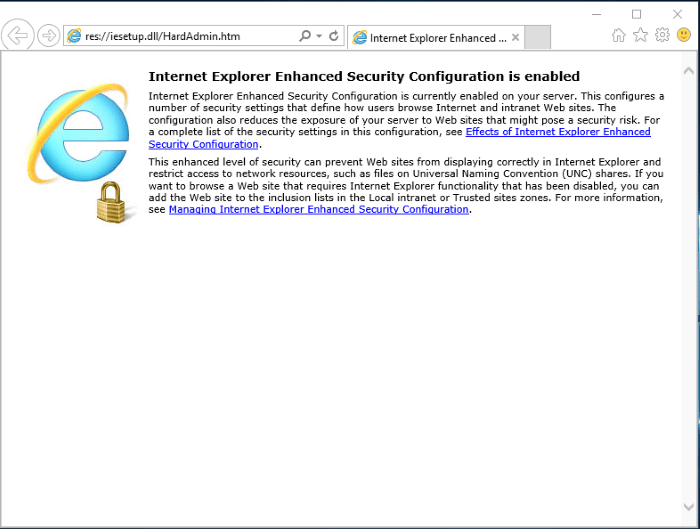 -Internet Explorer security settings page. 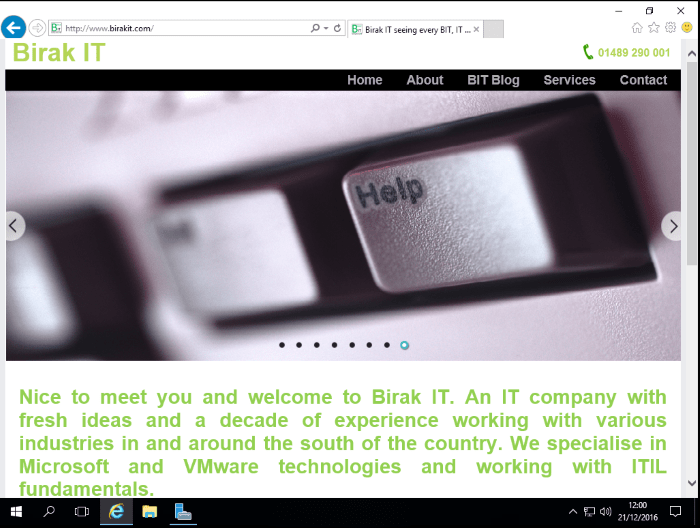 -Check out our website from Server 2016. 14. Once you are happy you can shut down the server. You will notice the shutdown options appear (like previous server editions). We have selected Other (Planned). 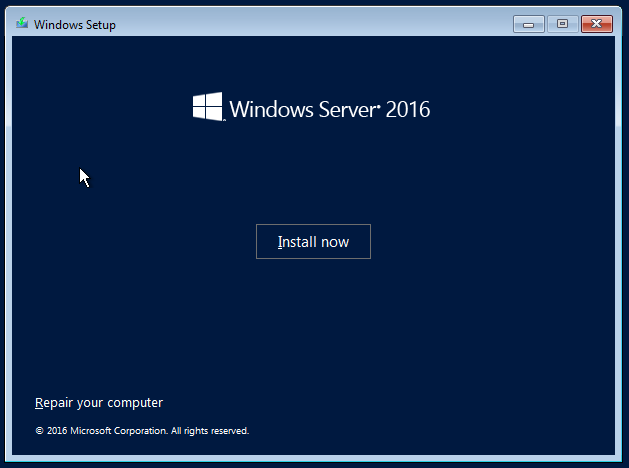 If you have managed to install Windows Server 2016, well done. 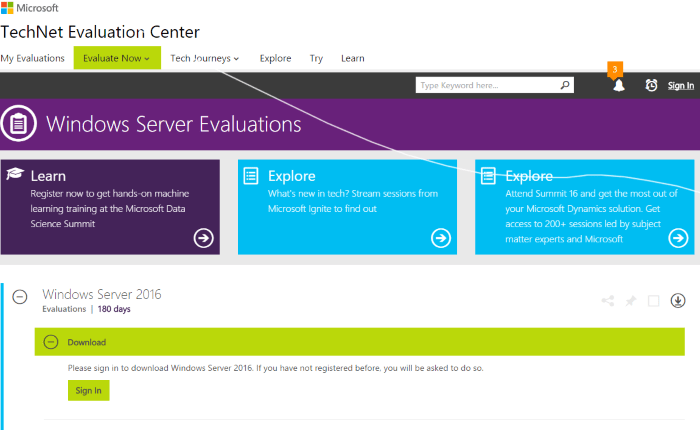 If you want read more about Server 2016, please see the ultimate guide from Microsoft. If you require further help or want to license Server 2016 in your business, please contact us or call the team on 01489 290 001. If you are looking to simplify updates for your server, check out our post on boosting productivity. We first posted this in 2016. 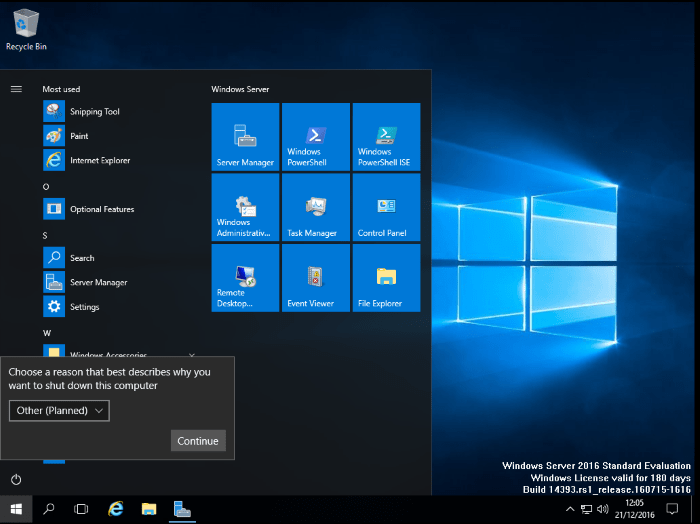 We want to ask you, how you have been utilising Windows Server 2016 and what you would like to see in future releases of the server operating system? This post was brought to you by Baldeep on 21 Dec 2016.